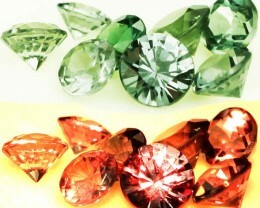 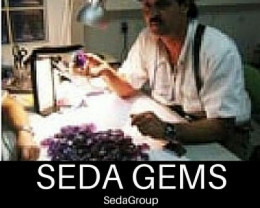 Member of the International Coloured Stone Association commited to full disclosure of stones and with a money back guarantee. 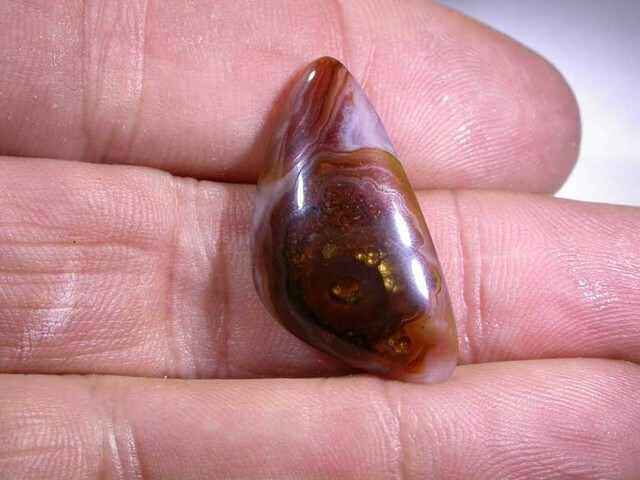 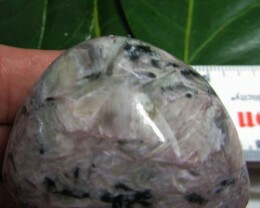 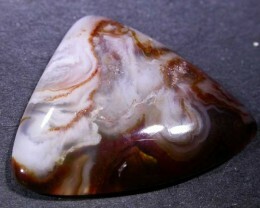 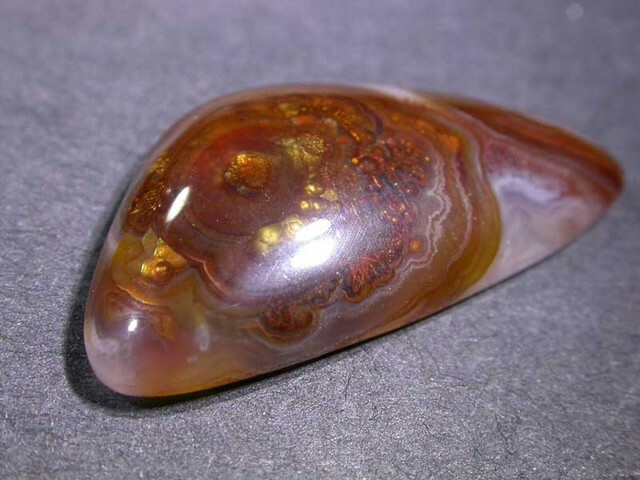 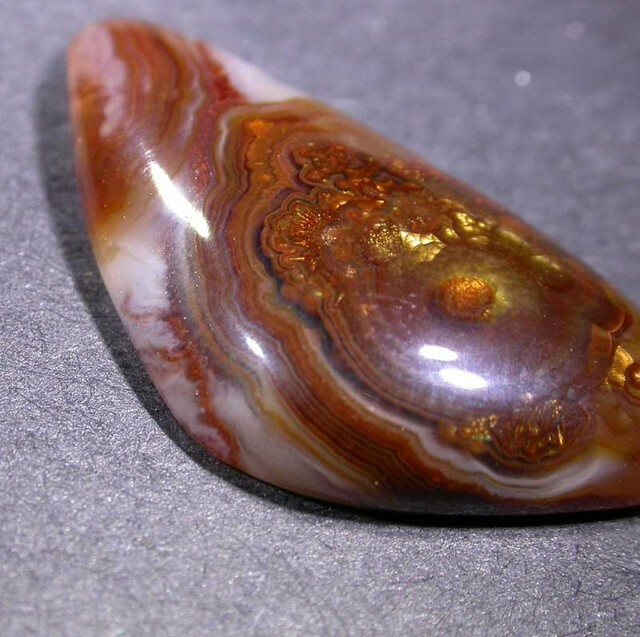 This is a stone where we have just domed it to expose the natural agate pattern under the fire agate. 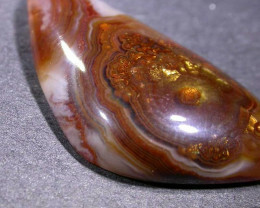 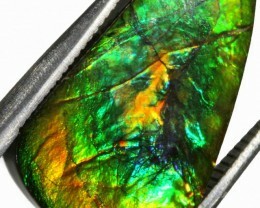 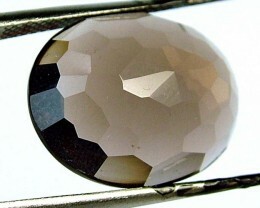 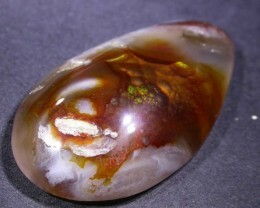 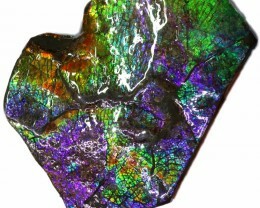 This stone was mined in Mexico but it is found in Arizona also.The stone appears to glow inside like opal.The gem is thought to be formed when hot water saturated with silica and lava oxide invade cavities in the rock and cool.Chalcendony with iron oxide begin to grow on the surface.The iron oxide gives the basic brown colour to the stone.It grows layers of silica and iron oxide. 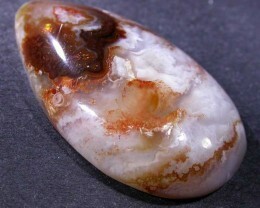 These alternating silica and iron oxide cause the brillant fire from the stone.After the iron oxide ran out of the specimen colourless chalcedony contined to grow over it.